Stacy Tilton Reviews: Save 25% on Halloween Costumes - BuyCostumes Orange Tuesday Event Ends Tonight! Save 25% on Halloween Costumes - BuyCostumes Orange Tuesday Event Ends Tonight! 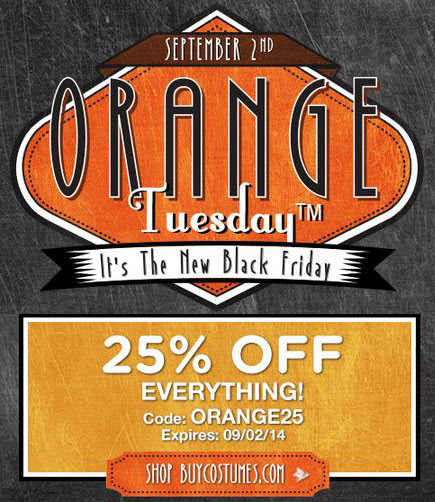 Start your Halloween shopping early this year with the BuyCostumes Orange Tuesday event, where EVERYTHING is 25% OFF through 9/2!